Magnat LZR 548BT In Ear Bluetooth Headphones High End Premium Bluetooth in ear headphones ..
Magnat LZR 568BT On Ear Bluetooth Headphones High End Premium Bluetooth on ear headphones .. Audio Technica ATH-ANC40BT Active Noise-Cancelling In-Ear QuietPoint® Active Noise-Ca.. Audio Technica ATH-AR3BT Smartphone On Ear High-Fidelity Audiophile On-Ear H.. 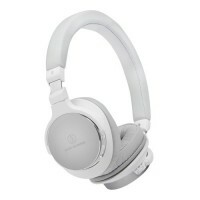 Audio Technica ATH-CKR35BT Wireless In-Ear Headphones Bluetooth® technology.. Audio Technica ATH-CKR55BT Wireless In-Ear Headphones Bluetooth® technology.. Audio Technica ATH-CKR75BT Wireless In-Ear Headphones Bluetooth® technology.. Audio Technica ATH-DSR7BT High Resolution Over Ear Over-Ear High-Resolution Audio Headpho.. Audio Technica ATH-DSR9BT High Resolution Over Ear Over-Ear High-Resolution Audio H.. Audio Technica ATH-SPORT 50BT Bluetooth® sports headphones Cr.. Audio Technica ATH-SPORT 70BT Bluetooth® sports headphones Po..